Jinns are special by even summoners’ standards due to their cognitive process to think, comprehend, learn, and even talk: an affinity that no other elemental from the Abyss can ever acquire. 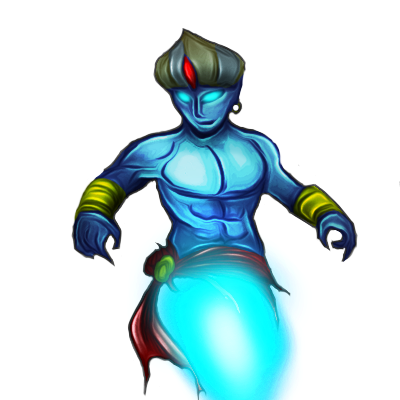 Made entirely of magic, jinns are vulnerable to the arcane magicks though more resilient against tangible weapons. These entities, while able to err like humans, are valued allies of the summoners, with their curious thoughts always wandering about. Last updated on Sat Apr 20 01:03:34 2019.